BRUSSELS (Sputnik) - European Council President Donald Tusk said earlier this week there was a "very serious threat" of Poland leaving the European Union amid tensions between Warsaw and Brussels. Poland has been anything but disappointment economically. The country's economy has been steadily growing for years, even amid 2008 crisis, while some other EU members have been grappling with recession. However, it has had its disagreements with Brussels on other issues. The European Union has been critical of Poland's judiciary reforms, in particular, of the new law that lowers the retirement age for Supreme Court judges to 65. Brussels has been worried that the reforms may threaten the rule of law in the country. Tusk, who was Poland's prime minister in 2007-2014, called on Warsaw to stop bickering with Brussels to avoid Polexit. According to the European Council president, Polexit could happen by "accident." However, some members of the European parliament disagree. "A country can no more fall out of the EU by accident than a prisoner can accidentally fall out of a high-security prison by accident," Steven Woolfe, an independent member of the European Parliament from the United Kingdom, told Sputnik. Michal Marusik, the Polish member of the European Parliament, also believes that such accidents are unlikely. "Nothing in the United Kingdom happened 'by accident'," Marusik told Sputnik. The warning might be linked to Tusk possibly considering a return to Polish politics, but Tusk's Civic Platform party is unlikely to be re-energized, Marusik said. "There is indeed a chance that Donald Tusk tries to make a comeback, but it seems to me that he will not be needed anymore because the political project "Civic Platform" cannot be revitalized. The same causes that once formed the Civic Platform will now organize a completely new sociopolitical force, not associated by society with the existing structures of power and influence," the vice-chair of the Europe of Nations and Freedom Group said. 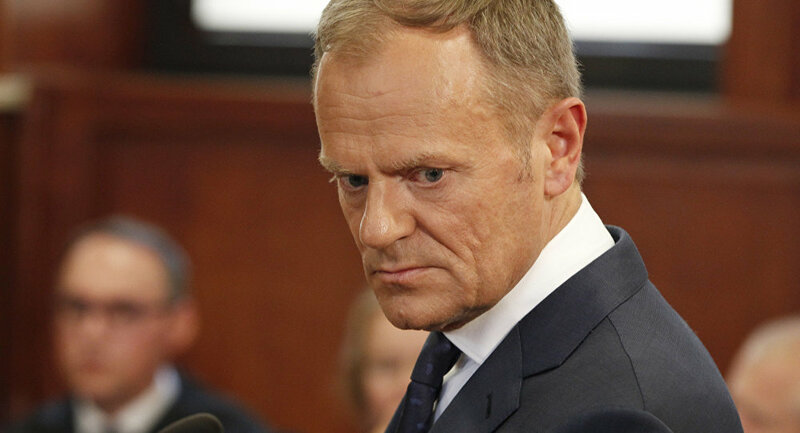 Woolfe sees Tusk's words as an attempt to scare fellow Poles, who, for the most part, "still want to belong to the EU." "However, if Brussels continues with its relentless attempts to interfere in Poland’s own laws and institutions, that could change," the member of the European Parliament said. Marusik stressed the European Union was largely a German-French alliance, which made it hard for other members to influence the bloc's policies. "Practically, the Union does not do anything that France and Germany will not agree to. Symbolically, the capital of the Union is the capital of Alsace, Strasbourg, even though the monthly travels of the entire European Parliament from Brussels to Strasbourg are a funny and very expensive spectacle," Marusik said. However, a September poll showed that over 65 percent of the Poles are against leaving the bloc. Only about 17 percent would like to leave, while another 17 percent do not have an opinion on the matter.